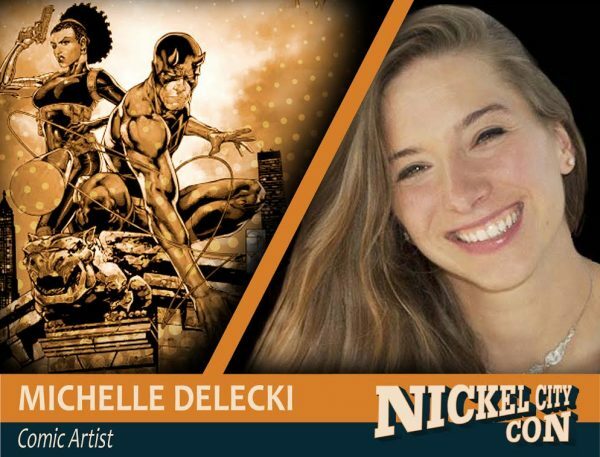 Michelle Delecki has built a robust career in inks within the comic book industry, working for such giants as Marvel, DC, Image, and Valiant. Some of the cover art she has inked over the years includes: Savage Wolverine, Venom, JLA, Superman/Batman, Superman Unchained, Deadpool vs X-Force, among many others. Michelle is currently working on Inferior 5 for DC comics. She helped to create, ink and edit Axcend for Image Comics. When she’s not inking, she enjoys painting and exhibiting in the gallery setting for pleasure.